Businesses of Hite Electrochemical Integration base on the industrial informatization R&D platform, majoring in equipment automation in machinery manufacturing industry and R&D, manufacturing and sale of all kinds of software and hardware required by informatization control. With strong technology and R&D ability, it can offer “customized” control products and MES (Manufacture Execute System) engineering services based on the process requirements. It has accumulated rich experiences and achievements in manufacturing equipments or manufacturing line control system integration in Solar photovoltaic, pharmaceutical, rubber tire, central air conditioning industries, with which technical level and competitiveness of products from customers are improved, winning customers and praise from partners. For more than 10 years, Hite Hoisting has been continuously perfecting innovation and development of independent technology in hoisting and material transportation field, gaining unique electric control technology and lots of patents of invention. 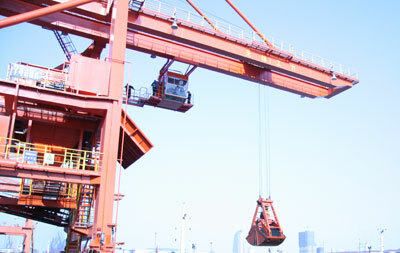 Hite Hoisting has been the leading enterprise on integration technology and manufacturing in this field, accomplished about 100 national key construction projects, successfully developed and applied several kinds of hoisting electric control system in ports, shipbuilding, power, metallurgy industries. Products from Hite are sold to several foreign countries in Southeast Asia, Africa and Europe. Hite system focuses on integration, sale and engineering of industrial information network and automation. Businesses cover transportation, water treatment, metallurgy, mining and power industries. Independent technologies and industrial solutions are core of system business. Hite system continuously pushes the innovation and development of industrial integration application technologies to offer perfect solutions of industrial informatization, automation and energy-saving fields. Hite Electric assembling is the platform for special technologies in electric automation control field from Hite Control being applied in the processing, producing and manufacturing of assembled products. Businesses of Hite assembling cover the assembled control cabinet and control equipments producing of internal new source energy, hoisting and system departments. It undertakes projects of secondary design and manufacturing of non-standardized control cabinet for Europe and America customer in machinery equipment field. It also takes charge of the chain management of Hite Control system integration business. Hite Electric assembling meets the requirements of domestic and foreign customers with high point, high efficiency, high reliability, creating maximum value for customers by fast and efficient after sale services and technical supports. Hite Electric is a joint venture set up by Hite Control and Sonepar French, majoring in electric products distribution. Hite Electric provides industrial automation products, electrical and electric products and supply chain solution with absorption and professional spirit. Hite Electric has products center and logistic distribution system located at Shanghai, Hangzhou, Nanjing, Wuxi, Guangzhou, Wuhan, Jinan and Dalian. Hite Electric applies its mind to meet the orders from customers located at different areas in shortest time, provide products sourcing, supply and localization services with abundant stock, affordable price and fast logistic distribution. ITE Intelligence Engineering has continuously improved self-development technology in the area of lifting and transporting materials. It has owned characteristic technology for electric control and many inventions and patents, and has become one of the domestic leaders for integrated technology and manufacturing. It has accomplished more than a hundred National Prior Construction Projects, and has developed and applied electrical control systems and complete energy saving solutions for various lifting equipment in industries of port, ship manufacturing, grid, metallurgy and so on. Its products have been sold in countries as far away as Southeast Asia, Africa and Europe.